Boats on the Kandagawa River (神田川) in Ochanomizu (御茶ノ水), Tokyo. The Kanda Josui Canal (神田上水) was built in 1629 as one of six water supplies to deliver drinking water to Edo (pre-1868 Tokyo). 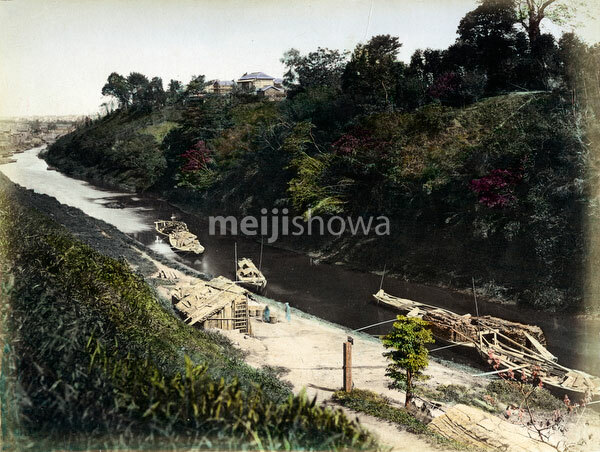 It was used until 1900 (Meiji 33), when a modern water-supply system was completed.